The EvidenceCare Acute Coronary Syndrome (ACS) pathway is based off of the 2013 American College of Cardiology Foundation/American Heart Association (ACCF/AHA) STEMI guidelines, 2014 American College of Cardiology/American Heart Association (ACC/AHA) NSTEMI guidelines and includes the 2015 American Heart Association (AHA) Acute Coronary Syndromes update. All phases of ACS care are addressed, with focus on appropriate intervention strategies for NSTEMI and STEMI care, including care of patients after resuscitated cardiac arrest with suspected ACS. Included are the 2015 updates on STEMI care that reflect guideline changes based on the interval of time of symptom onset to intervention versus previous recommendations based on interval from first medical contact to intervention. Dr. Brady is a Professor of Emergency Medicine and Internal Medicine at the University of Virginia School of Medicine. 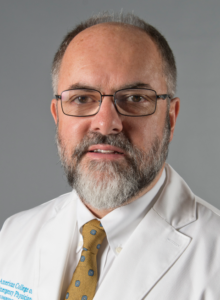 He also serves as Chair of the Resuscitation Committee, Medical Director for Emergency Preparedness and Response, Medical Director for Life Support Learning Center, Albermarle County Fire Rescue, and Special Event Medical Management. Dr. Brady has a B.A. in History from the University of Virginia and graduated from the Medical College of Virginia. He completed his residency in Internal Medicine at the Medical College of Virginia, and residency in Emergency Medicine at the Medical College of Wisconsin where he also served as chief resident. Dr. Brady has authored numerous research articles, book chapters, review articles, and books including serving on clinical policies writing committees for the American College of Emergency Physicians (ACEP) and the American Heart Association in the subject of acute coronary syndrome.